Thinking about tramping the Milford Track or taking an indulgent stroll through the French countryside? Let an experienced long distance traveller share the pleasures of exploring the world at a walking pace without having to give up a good night's sleep or a glass of wine at the end of the day. A slow ramble through the French countryside perhaps, or a tramp along New Zealand's Milford Track, or maybe an indulgent luxury walk in Tasmania? Gillian Souter helps you plan and prepare to make those dreams a reality. 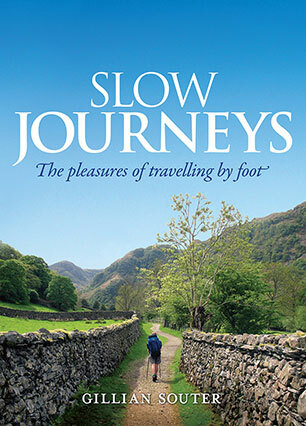 While focusing on a comfortable approach to walking - on-path rather than off-track, staying in simple accommodation rather than camping, enjoying a glass of wine with dinner instead of purifying your drinking water - Slow Journeys is generous in its whimsical considerations and observations of the joys of taking a long walk. It also offers practical information on the hurdles all walkers face, including preparing your itinerary, choosing kit, preventing blisters and mastering the intricacies of navigation. So put on your boots, hoist your pack and head off down that winding track to discover the pleasures of travelling by foot. Gillian Souter is a life-long walker who turned her passion into a business, having produced three guidebooks for walkers. She has the good fortune to live at Hyams Beach on the New South Wales south coast, where, in between trips to hiking destinations overseas, she gets her fill of walking in the local bush and along the coast.